Contact us if you are from the Media and want to run a story. 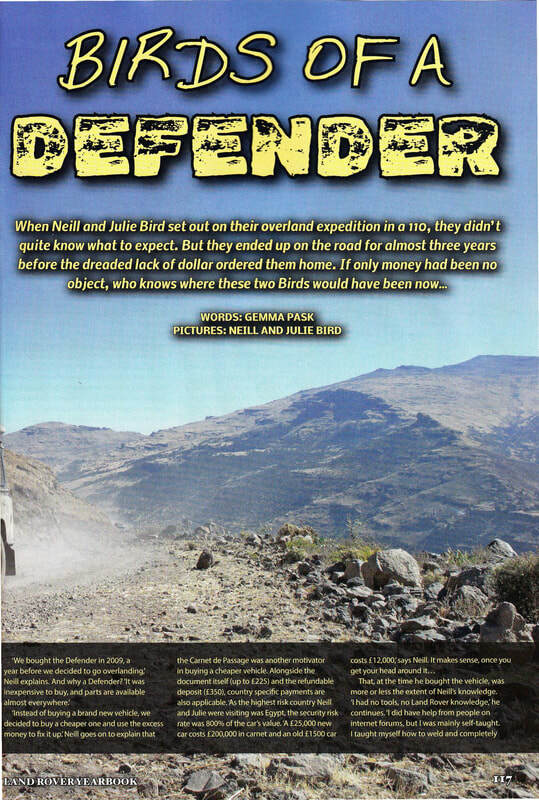 With some members of his association of off-roaders “OverlandBirds”, Nelly Byrd planed a one-month trip to Morocco in October 2017. From Liverpool to the Moroccan desert and gorges, Nelly and Jelly travelled more than 8000 kilometers. 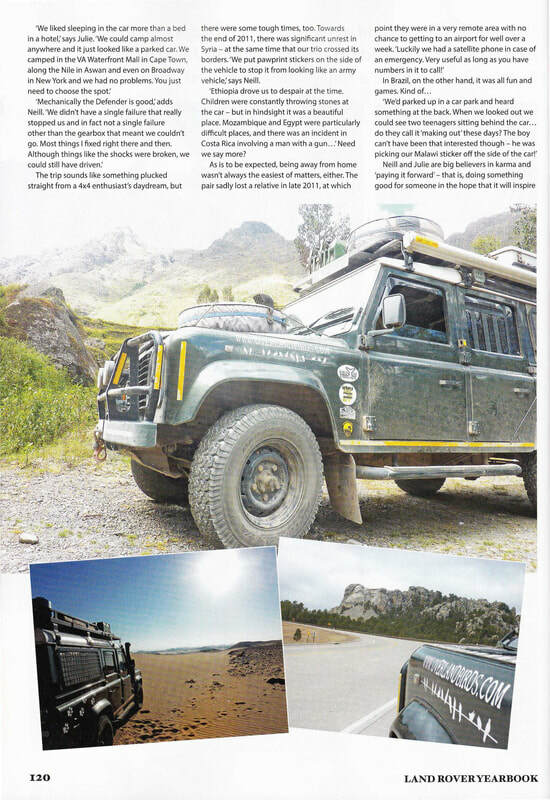 They were accompanied by their Land Rover called Henrietta, and other off-road enthusiasts. Feedback. 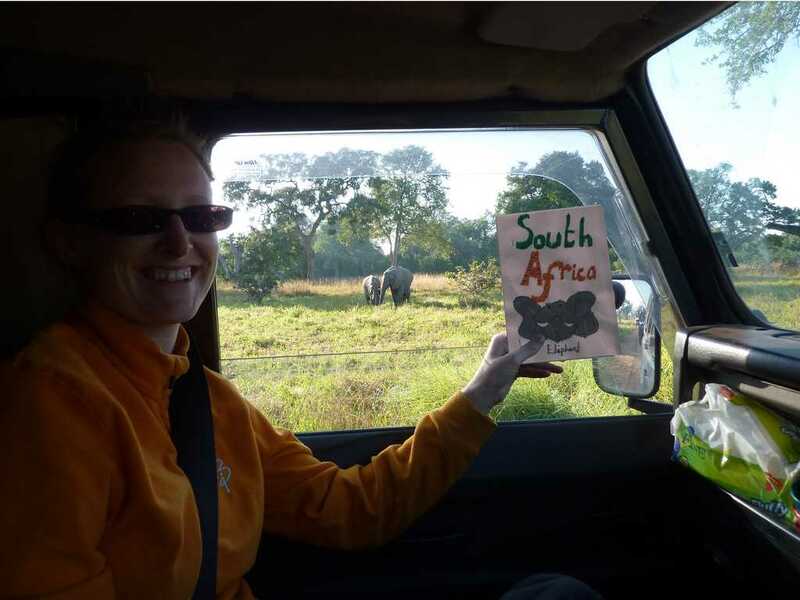 In 2009, Nelly and Jelly have decided to travel the world in Land Rover. Nelly's lifelong dream became reality one year later with a first long-trip covered 46 countries during 974 days. 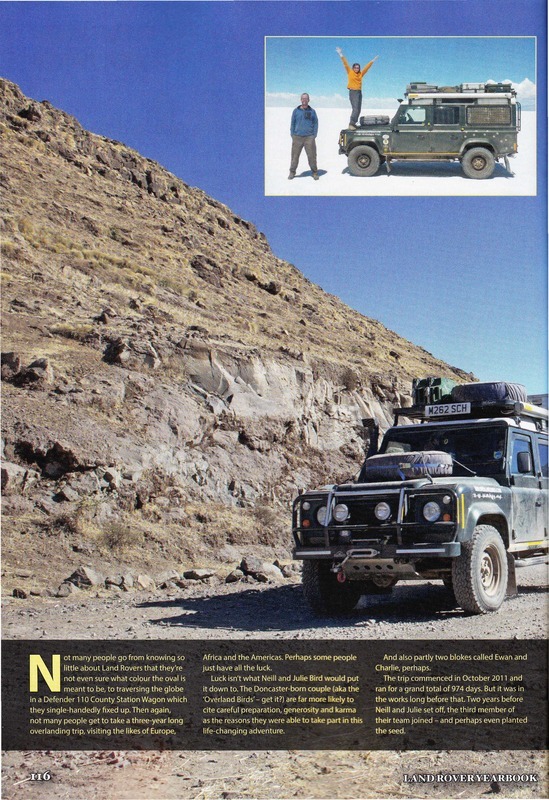 In order to prepare the second part of their round-the-world trip, Nelly bought a new Land Rover, a military ambulance named Henrietta. October 1st, Nelly, Jelly and Henrietta crossed 1600 miles from England to southern Spain (Gibraltar) to meet other Overland teams and took the ferry to Tangiers. They were ready to begin the adventure! From Tangier, they drove across original landscapes and superb historic cities and ruins like Volubilis, a partially Berber and Roman town, or the surprising ski resort of Ifrane, near Meknes. Nelly and others lived some nice encounters: in a garage in Zagora, Nelly gave to the nice local people BFGoodrich® stickers and sunglasses to pay Henrietta’s greasing. In the South of Morocco, the landscape changed: welcome to the desert! «The one thing I wanted to see in all of Morocco on this trip was Gara Medouar and I'm not quite sure why, I think I've seen the picture somewhere? It was so beautiful » remembers Nelly. 8000 kilometres and 830 liters of diesel later, it was time to run to the port, take the ferry again and cross Europe to return in England. Nelly and Jelly think about the next step with Henrietta: a full circuit of Europe to the East and back through into West Africa. Keeping his #DriverEnough spirit, Nelly says: “After West Africa, I’m not sure where we’re going to go.” Who knows really where the next trip will be? Using the worse photo off the site and in fact one to show how bored I was of Julie taking the same shot over and over they ran an article....There were 100's of better photos of us both and many more in the same positions with me actually smiling! 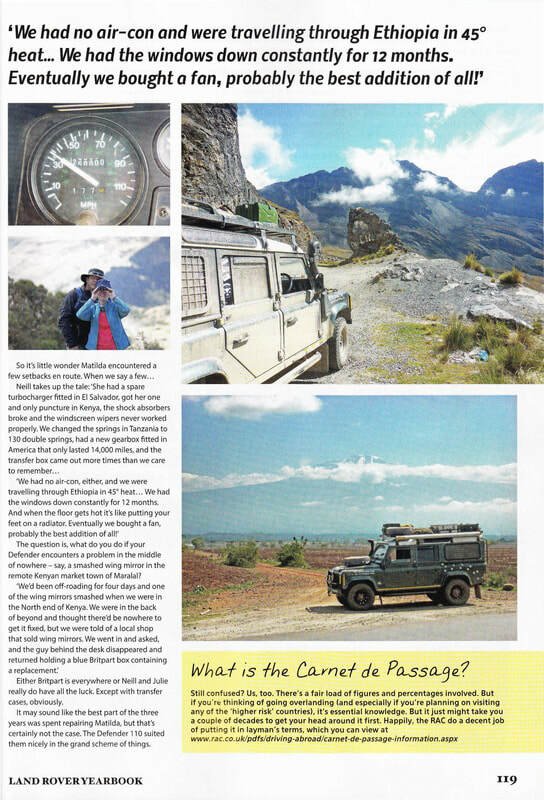 AN INTREPID couple are using their round the world trip in an old Land Rover to help other travelers in need. 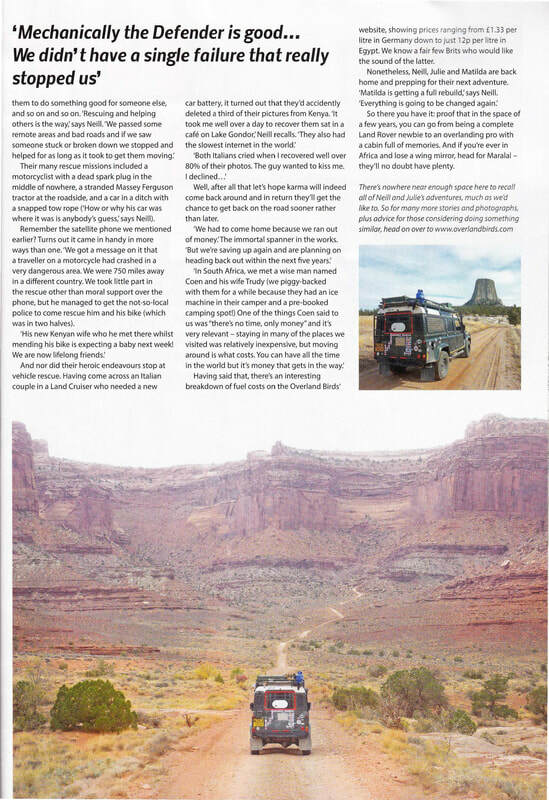 N and J who are currently a quarter of the way through their two-year expedition with their 18-year-old Land Rover Matilda are taking on the role as good Samaritan along the way. 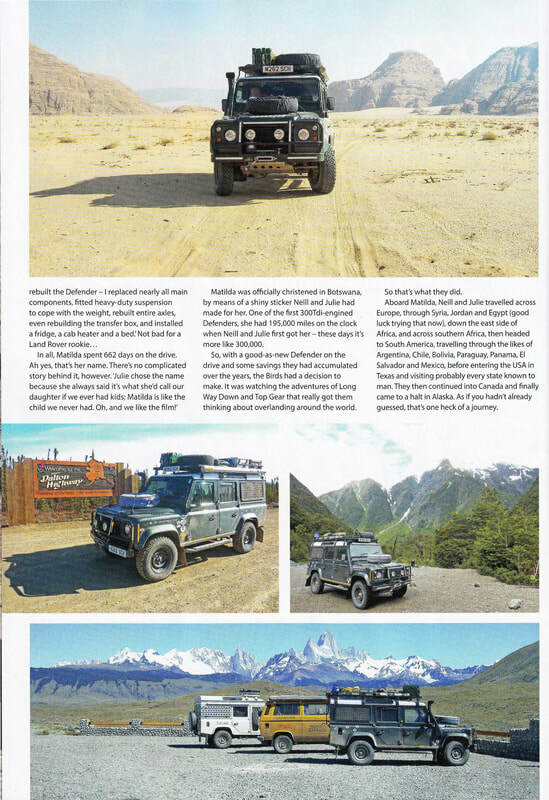 After the couple spent all their spare cash getting the Land Rover Defender 110 300Tdi ready for the trip N, who had limited knowledge of cars, became somewhat of an expert on mechanics. And he is using his new found skills to help other travelers along their epic journey. Speaking about the trip N, 42, said: “We’re not doing it for charity as we do not believe you can possibly collect enough money to warrant the expense of the journey. Instead we help wherever we can and take particular satisfaction of helping other motorists we see along the way. Sometimes broken down in the strangest of places. The couple who intend to travel around the world overland with some sea crossings in a container, have completed Africa and have just arrived in South America covering around 56,000 km or 35,000 miles. Our First Bit of Fan Mail......! Our biggest fan is a young Lady called Mia. She lives next door and today presented us with a good luck card for our big trip. With no help from Mum she waited all day to give me the card. Unfortunately i was a bit oily when she presented it as I was fitting the new fuel tank so she had to read it to me herself. Its one thing we'll take on our trip. 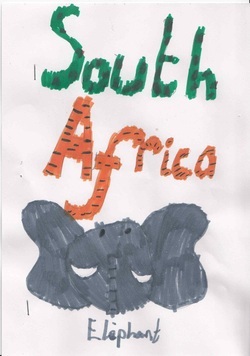 Thanks Mia we are going to take your Elephant to Africa to see its brothers and sisters. You're writing is neater than mine ! As you can see below we managed to deliver the card in person to Mr. Elephant.